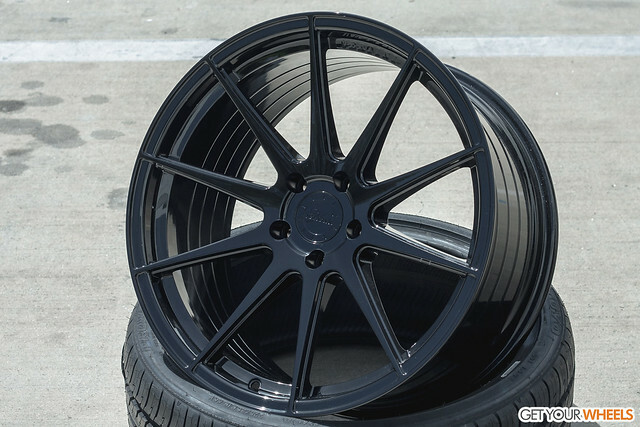 The gloss black Vertini RF1.3 rims feature a ten-spoke concaved monoblock design that utilizes the latest German manufacturing process. It only rigidifies, but also reduces the weight of the wheel drastically without sacrificing performance. By doing this we can achieve a lightweight multispoke wheel with pleasing aesthetics and aggressive fitments for European, Asian, and American made vehicles. Take full control of your fitment. These concave monoblock wheels provide you with the option of achieving the most aggressive fitment possible without compromising performance.